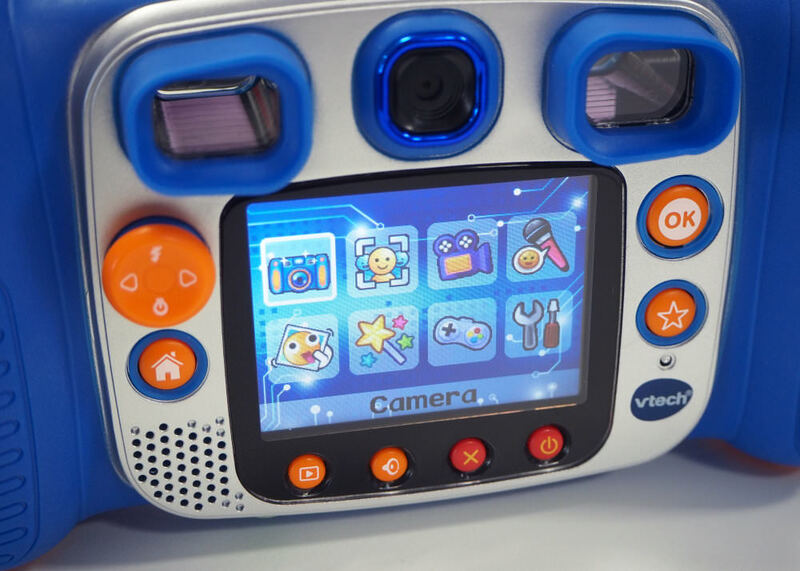 We take a look at this latest camera from Vtech designed for young kids. 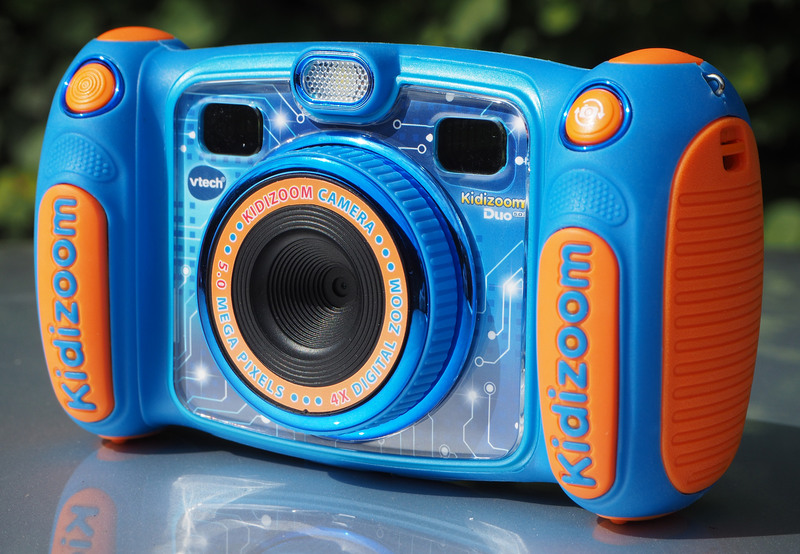 The Vtech Kidizoom 5.0 offers minor camera improvements over the previous model which are welcome. You can now capture 5-megapixel images with the front camera, and it's packed with fun filters and games to keep the kids amused on their photography adventures. The tough and chunky design is great for little hands. 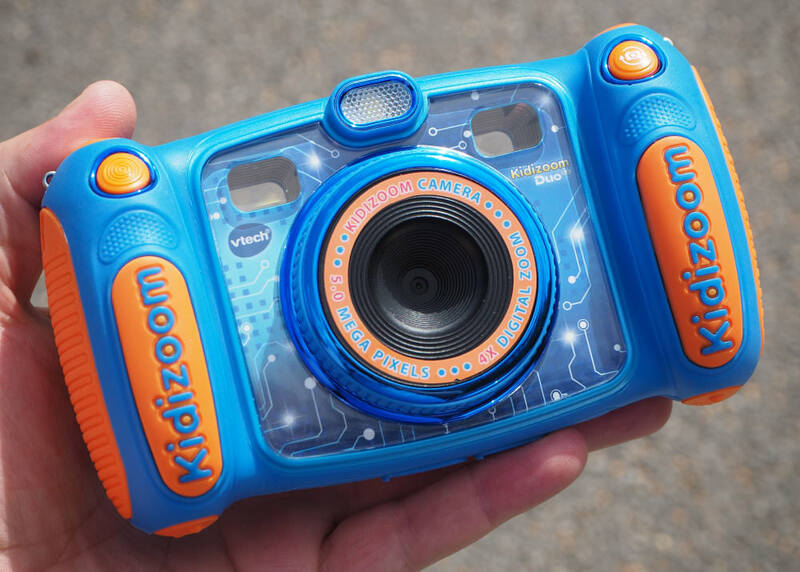 An ideal starter camera for 3-9-year-old kids. 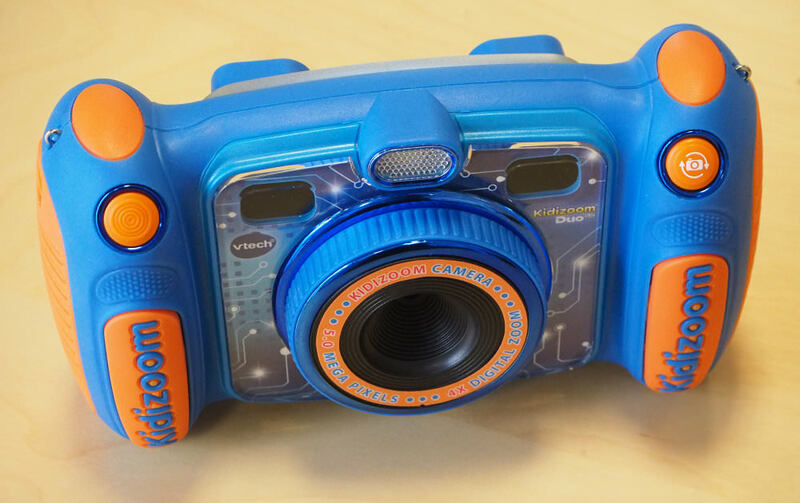 The Vtech Kidizoom 5.0 is a chunky, fun kids camera aimed at 3-9 year-olds. This latest model is equipped with a 5-megapixel front camera, rear 'selfie' camera, 4x digital zoom and lots of fun features to keep kids entertained and teach them about photography. The camera is available in blue or pink colourways and retails for £39.99 on Amazon. 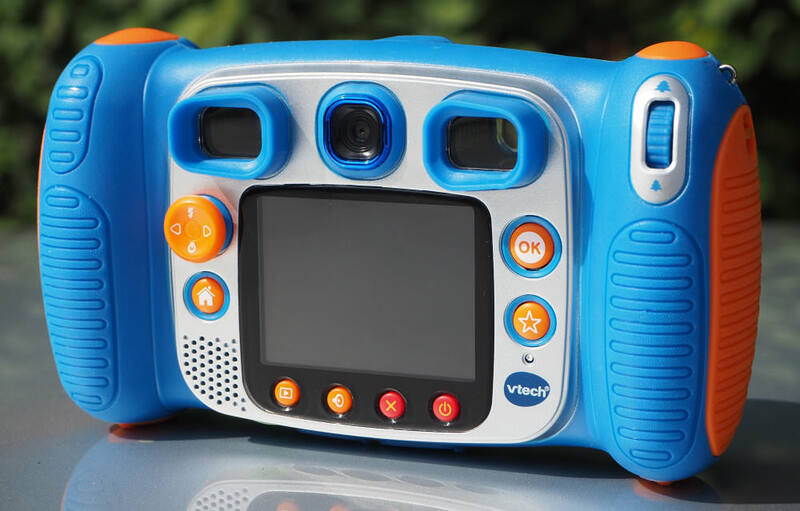 The Vtech Kidizoom 5.0 is the latest model in the Kidizoom family, and aesthetically it's the same design as the older model, the Vtech Kidizoom Duo apart from slight changes in the design - the new model features a different cover image on the front and orange front, side and top grips to match the buttons. The camera is encased in shockproof rubber and has 2 chunky grips on either side. The outside of these grips are battery compartments and each holds 2 AA batteries. There are binocular style viewing holes at the top, and on the front, there's a flash as well as the main camera lens, surrounded by a mock rubber focusing ring which can be twisted. On the right grip is the shutter button and on the left is the button to switch between cameras. On the back, you'll find the rear-facing camera, a 2.4-inch colour LCD screen and operational buttons, including a multi-directional joystick for navigation. On the back of the right-hand grip is a zoom wheel, allowing you to alter the digital 4x zoom. On the bottom underneath rubber flaps are a micro USB connection port allowing you to connect the camera to a PC, and a MicroSD card slot allowing you to increase the storage capacity. The camera takes 5-megapixel images with the front as standard, but using a camera effect makes the images just 2 megapixels. The rear camera has a 0.3-megapixel resolution. You can also select low-resolution mode for the front camera making those images 0.3 megapixels as well. The camera is capable of 3x photo burst mode images. There are lots of fun and whacky camera effects that you can add to images, and the camera can also record up to 10 minutes of video at a time when a microSD card is inserted. There are also games pre-loaded into the camera to keep the kids entertained. The Kidizoom 5.0 is very comfy and stable to hold, with the 2 grips on either side fitting small hands well. It's very ergonomically designed, with the shutter and camera switch buttons placed right where the index fingers lie. The camera is designed for young kids, so the navigation is simple and image-rich, as expected. Turning the camera on takes you straight into the 5-megapixel front camera mode. On the joystick, you can push up to alter the flash setting, (off, always on or auto modes), and down to turn the self-timer on or off. It's a 10-second timer. Navigating left or right with the joystick takes you through all the different funny frames and effects available. You can also press the star button on the back of the camera to choose a specific kind of effect. Choose from photo frames, stamps, funny faces, silly mirrors, kaleidoscopes, shake shake effects, 3x photo burst mode or auto-portraits. At any point, you can switch cameras by pressing the left-hand shutter button. Press home to access other camera modes. There's 'you & me' camera, which is a bit like those portraits with their heads cut out at the seaside for you to pose with - take images of your face set within a frame to create fun group images. Video recording mode, voice changer, whacky photo shaker, creative tools (like photo editing and silly face detector), games and setting can all be found on the home menu. Along the bottom of the screen are buttons allowing you to view photos and videos you've taken, adjust the sound level of the camera, delete images and power the camera on or off.